- Using GCC: The GNU Compiler Collection Reference Manual, by Richard M. Stallman and the GCC developer community. The definitive reference manual for the most widely used compiler in the world, written by the program's original author and its current developers. 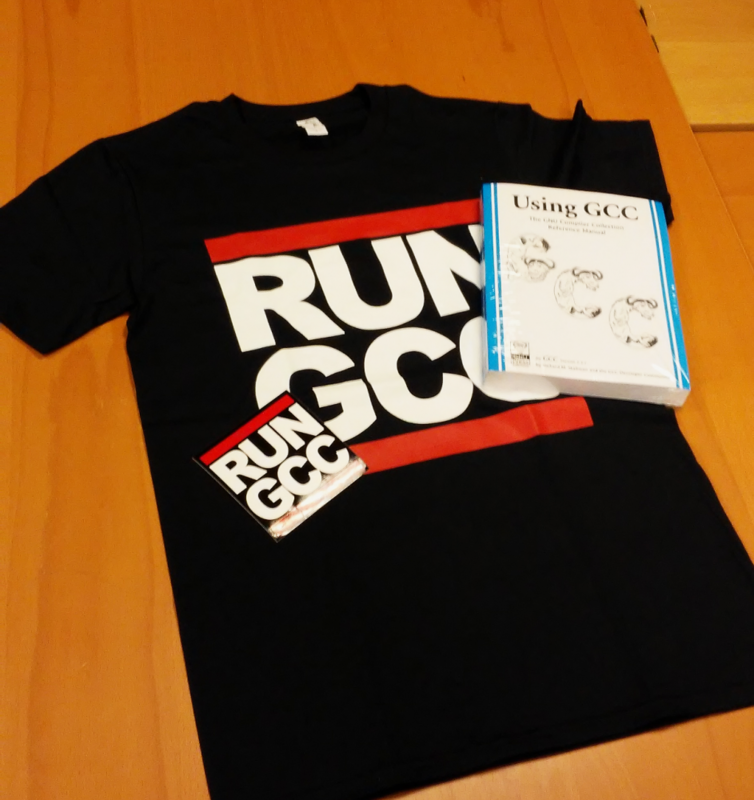 - RUN GCC T-shirt: Our most popular t-shirt. Show your enthusiasm for GCC with this shirt, featuring a big, bold graphic inspired by the iconic RUN-DMC logo. Kangol hat, Adidas, and gold chain sold seperately. 100% cotton, printed at a union shop. - RUN GCC sticker: The same bold design as the t-shirt on a heavy-duty vinyl sticker you could affix to just about anything. Another big seller from the FSF! Sold separately at this very web shop these come to $43 - but in this bundle we're offering them for only $35. Save some bills while learning skills!